New subjects, teachers, assessments, friendships and the fear of the unknown can make everything feel so scary and foreign – we’ve all been through it! Here are some tips which will hopefully make the transition easier for all those new Year 7 students. Take the last week of the summer holiday break and get prepared with everything you need for Year 7. 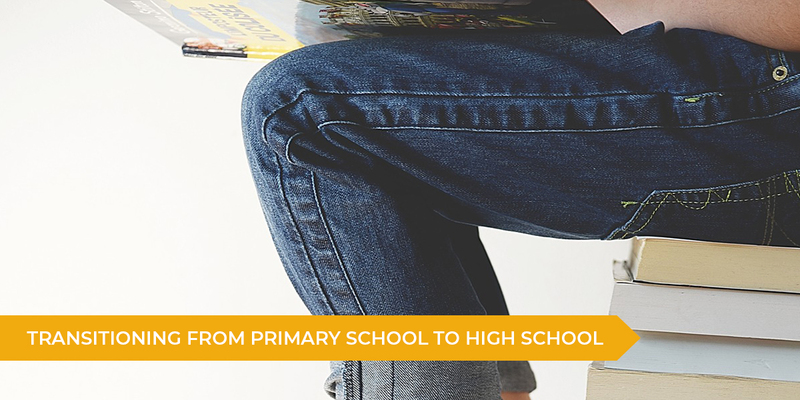 Make sure your uniform and school shoes are ready to go, then go about purchasing all the relevant exercise books, stationary, and bags that you’ll need for school. When Term 1, 2019 actually starts, you’ll have little to no time for everything to be organised. Don’t be afraid to ask for help from teachers or your fellow students, especially in those first few weeks of starting Year 7. Everything might feel scary and new, but always remember that this is just temporary. Soon enough you will feel comfortable and settled as a Year 7 student. In the meantime, asking for help will only make things clearer for you, and can potentially help you get settled sooner rather than later. Asking for help from fellow Year 7 students can also lead to brand new friendships. Regardless of whether or not you’re starting at a new school, it’s always a good idea to expand your friendship circle. There are also going to be new Year 7 students starting at your school, and one of the easiest things you can do is just talk to them! By doing this, you will only make it easier for them to transition from primary to high school life and might meet a new friend along the way. Developing a study routine is one of the easiest ways to make sure that you will stick to revising your work. Want to know the best part about this? If you create solid routine now that you’re in Year 7, it can be used throughout high school and well into tertiary studies. Get into the habit of taking notes for all of your subjects, comparable to a mini-revision at the end of the week. Not only will the content stick better in your brain, but you can also use this tip from Year 7 through to Year 12 which will make studying that much more easier and efficient. Who feels motivated to study when their desk is cluttered and there’s barely enough room for all of your text books? Start from square one, and use the school holidays to clear up your study space, and create a study environment for starting your homework. Choose a space which is clean and tidy, and will allow you to peacefully revise your notes. If you find it hard to study at home retain information better when people are around, use your local or school library. You will also have access to lots of resources whenever you need them! Want to accelerate English and Mathematics subjects in Year 7? Talent 100 offers specialised tuition for Year 7 students to get ahead and make the most of the semester. Build the fundamental English and Mathematics skills to set the foundation for your future studies. Click here to find out more about our courses, offered at Chatswood, Epping, Burwood and Hurstville learning centres.